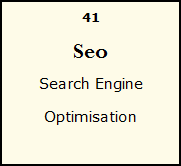 Search Engine Optimisation (SEO) is the process of affecting the visibility of a website in a Search Engine. Search engine optimization is a set of strategies and techniques and tactics used to increase the amount of visitors to a website by obtaining a high-ranking placement in the search results page of a search engine such as Google, Yahoo and Bing. Search Engine optimization which adjusts or rewrites website content to achieve a higher ranking in search engine results pages. The higher your website is rank the more visitors you will attract. At MYP we have the knowledge and experience in SEO to make your page appears in the highest position in search engines. SEO is very technical in nature and when used to its optimum level it will increase the number of potential clients that will come on your website.